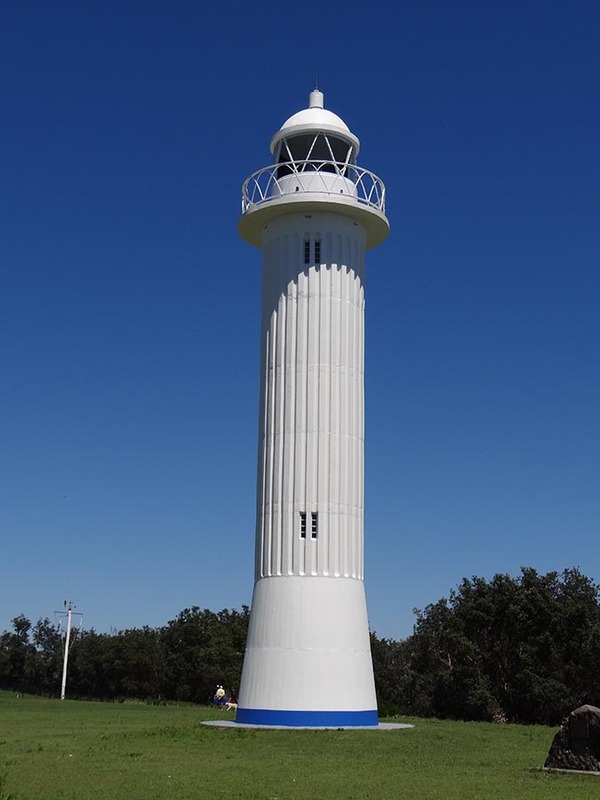 Clarence River Lighthouse | Lighthouses of Australia Inc. 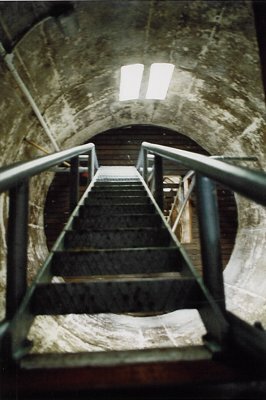 The current tower was built in 1955, replacing a previous tower built in 1880. Stories about the first lighthouse seem to vary a little but it seems that there was first a rudimentary structure of a platform with a kerosene lamp on it on the most easterly part of Pilot Hill. This was replaced in 1866 by a small wooden humpy whose shutters were opened each night to dispense the rays of a large kerosene lamp placed on a bench. It was in the same place as the first and next to the flagstaff. Tenders were called in 1878 and a permanent light was built in 1880 by W. Kinnear at a cost of £1,097. 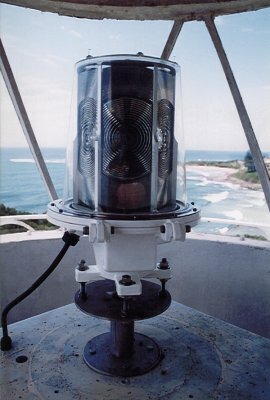 The 7 metre high lighthouse’s style of the this was typical of lights of this era in New South Wales with similar one being established at Richmond River, Fingal Head, Crowdy Head and Tacking Point. It was visible for 6 nautical miles out to sea. An adjacent keeper’s residence was also built for the lightkeeper who was employed. The old lighthouse was automated in 1920 and subsequently demanned. With the building of the Pacific Hotel it was felt that the light was obscured. Also the site was being mooted for the construction of the new town reservoir . A new lighthouse was built in 1955 on Pilot Hill and the old lighthouse was demolished in 1956 to make way for the reservoir. 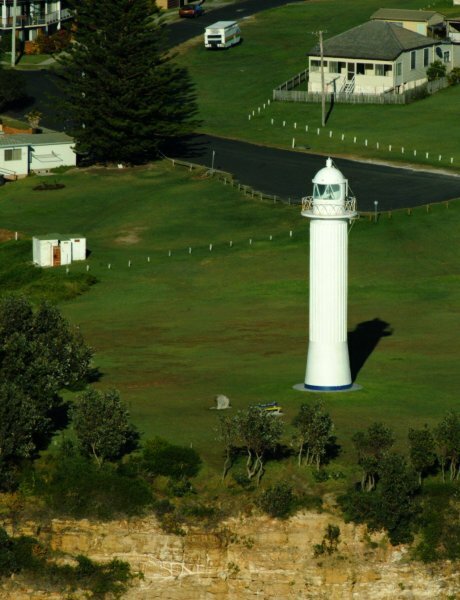 The new lighthouse was built of concrete in a very modern style and is 18 metres high. 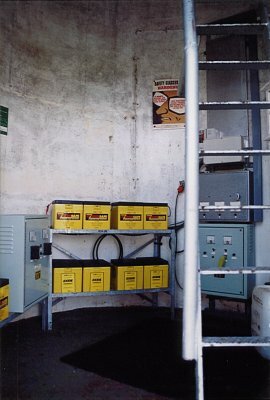 The apparatus from the old light was transferred to this new tower. The original pole from which a kerosene lamp hung is now standing in Story Park adjacent to the museum which features several exhibits of historical interest. 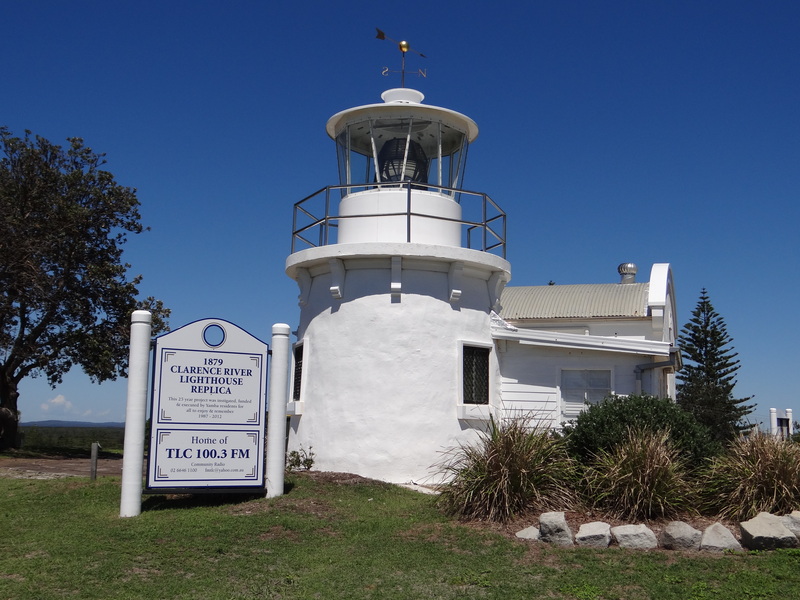 It is ironical that the reservoir that replaced the original lighthouse is now gone, demolished in 1980, and that the local Yamba Community Radio Station 2TLC is housed in a replica of the 1880 lighthouse which was built by volunteers on the exact site of the original building. 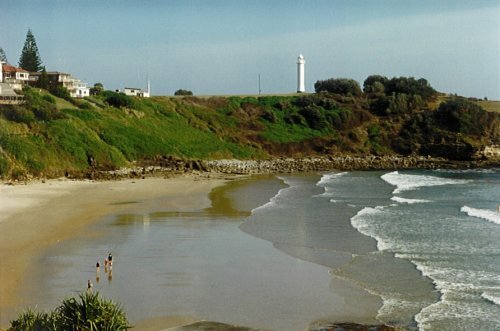 Daughter of the pilot who first tended the temporary light, Jane Freeburn, recalled that as a child she used to help tend the light making her way through the brush on the headland with a bodyguard of Aboriginals to protect her from possible marauders, human or animal. 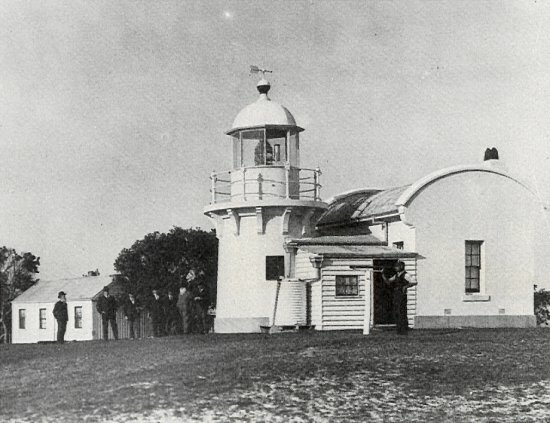 The first lighthouse official keeper was William Walker who came to Yamba within nine months of Freeburn’s arrival as a member of the Pilot’s crew and remained in the job until 1886 at least. He was a widower for many years and lived by himself in rooms attached to the lighthouse. Evidently a man of some education he accepted the job as teacher of the first provisional school but, as explained in the section on the Public School he resigned in 1870 because he couldn’t hold two jobs in the Public Service and he had never given up his employment in the boat crew. Thomas Bawden remembered him as a genial old chap who was affectionately known,as “Old Walker”. A reporter of the “Sydney Mail” (24th Oct., 1885) called him “an old sailor … whose absence would now be regretted almost as much as that of his light. His bachelor quarters are snug and comfortable, and a perfect pattern of neatness and cleanliness, while the lamp and reflectors shine like polished gold and silver work under his attentive care”. Charles McAuley, brother of the pilot, Henry McAuley, was also an early lighthouse keeper. The grounds are open all day. The tower is not open.